Last Tuesday it was my birthday and I spent most of the day op-shopping with my mum. I used my birthday money and managed to find a few nice things. Nothing particularly old or what I usually look for but some neat finds, nonetheless. 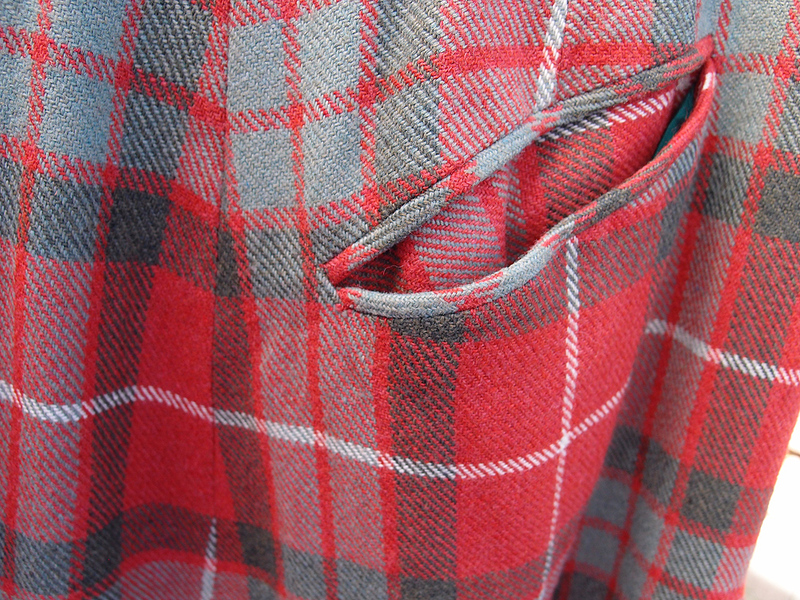 And here are some sneak peek photos of the clothes and proper photos of the rest. 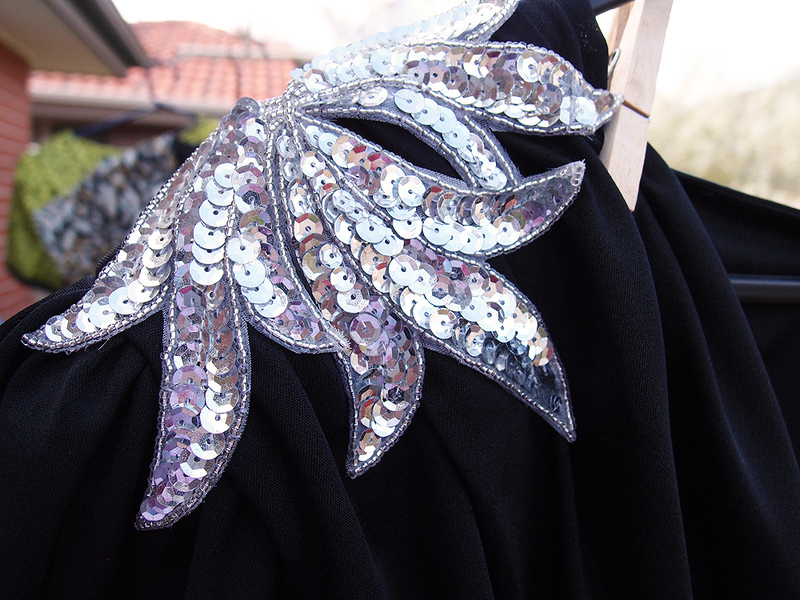 Check out the sequinned design on the shoulder of this 80s cocktail dress I bought. A similar design on the hip. 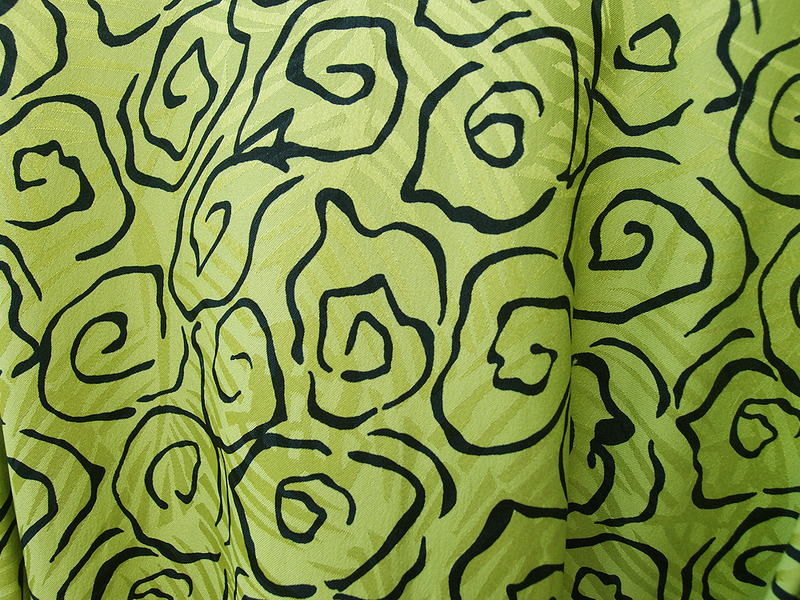 The print on the utterly ridiculous 80s dress I found. It has a detachable peplum and very big shoulders (of course!) but it actually looks pretty good on, I think. I posted some terrible photos of these on Tumblr for anyone who wants to see them. I'm honestly not sure where I will wear either of these dresses but I feel nearly certain there will be some occasion in the future that one of these will be perfect for. A nice vintage plaid skirt. It has a bit of a '30s sillhouette to it. 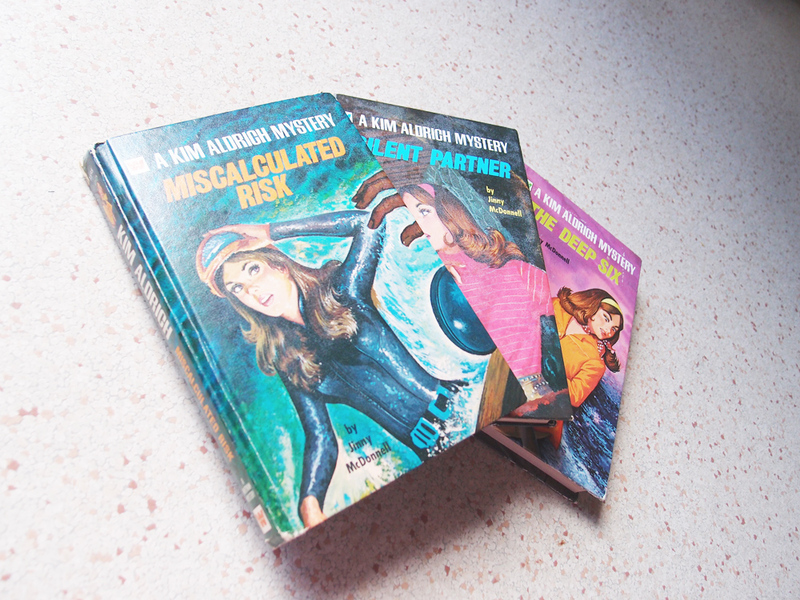 I love the covers of these Kim Aldrich Mystery books. I found a little information on them here. It seems there were only four books in the series, so I'm only missing one! They sound kind of interesting so I may actually get around to reading these one day. And some various dolly things. Mostly clone (i.e. 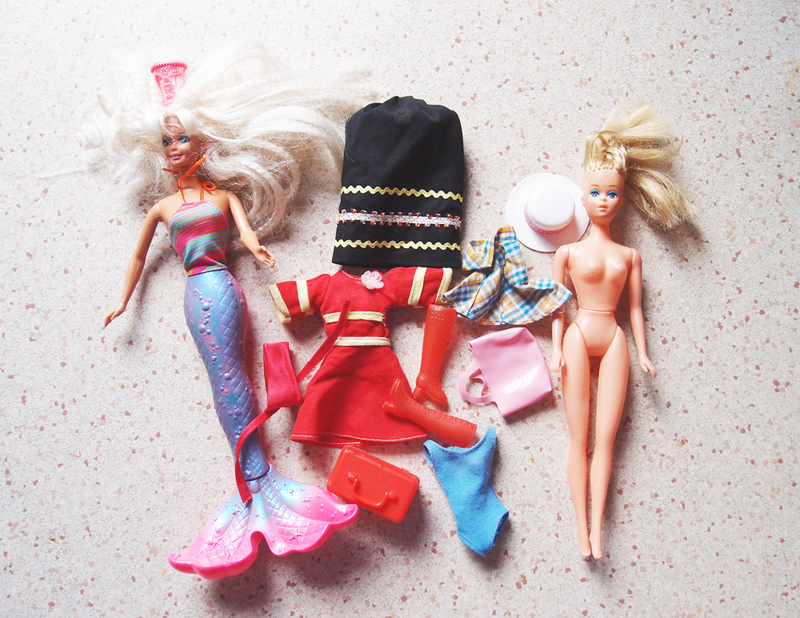 knock-off) things, except for the mermaid and I think the white hat as I believe it's from Day to Night Barbie's outfit. Ohhh my, the mermaid barbie is a darling! 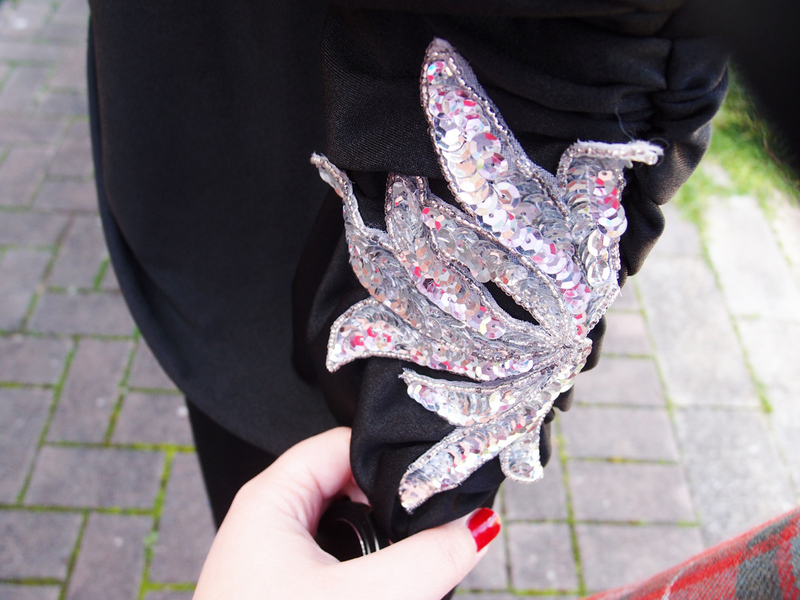 Not to mention that gorgeous sequin design. Very cool finds! I love that classic plaid skirt - it would be perfect to wear for a back-to-school (whether one is a student or not) themed outfit post (ooohhh, and definitely for a Christmas one, too). based on your posts alone, adelaide opshops seem to be chock-full of gold! i love what i can see of you in those 80s dresses - gotta love shoulderpads!